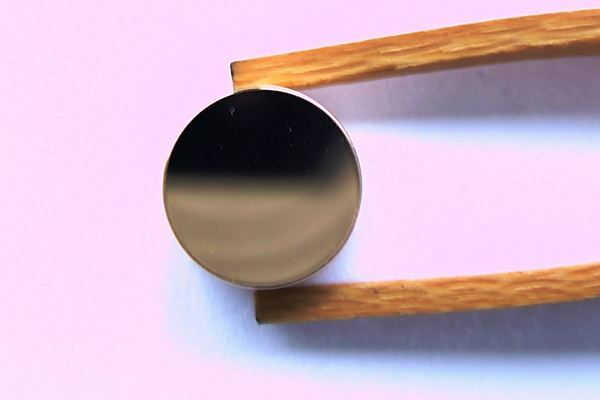 Mirror coatings are designed to achieve the maximum reflectivity over the widest spectrum of wavelengths. There is always a trade off, in that the wider the range of operating wavelengths, the lower the overall reflectance. Protected aluminium mirror coating offers excellent reflectivity in the UV and visible, >85%R from 200-700mm wavelength. The protective over-layer improves resistance to scratching and improves durability whilst cleaning. Above 700nm wavelength, gold or silver coatings should be used. 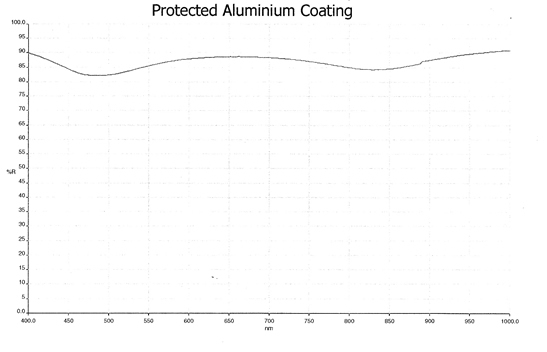 This protected aluminium coating can be deposited on to our copper or aluminium mirror substrates. 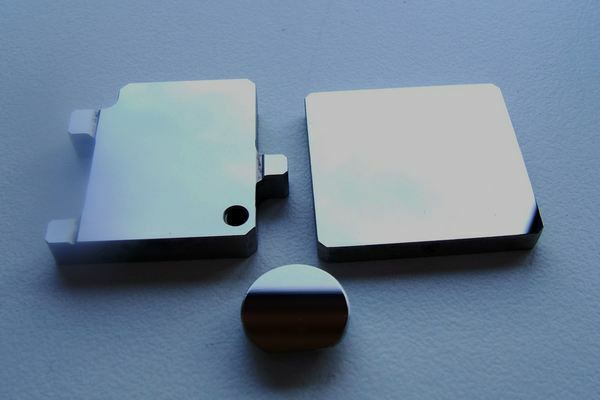 The substrates are electroless nickel plated and superpolished for extreme surface smoothness and scatter reduction. Polish quality is an important feature at shorter wavelengths. 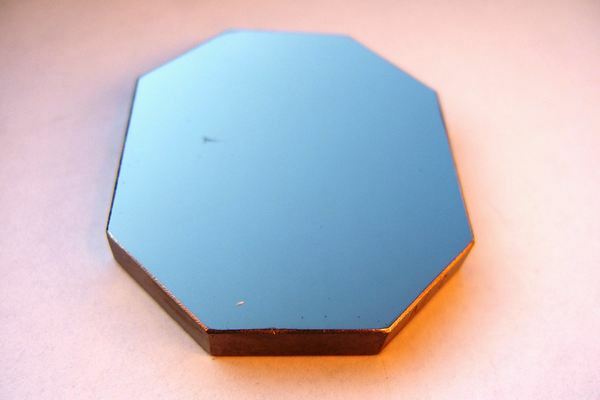 Diamond machined mirrors will have a level of scatter and diffraction from surface artefacts that is often not acceptable. Choose this coating for visible and near UV multispectral applications such as spectroscopy, microscopy, imaging, medical and scientific instrumentation or where electrical discharges generate destructive UV radiation. Our protected aluminium coated mirrors can be manufactured with mounting features built-in, such as tapped holes and flanges. This reduces OEMs manufacturing costs and can simplify replacement.